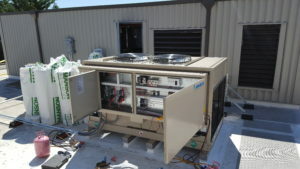 Commercial & Industrial HVAC, Odor Control Systems, Architectural Sheet Metal & Fabrication. Miller Sheetmetal is a licensed electrical contractor with 01 electricians to compliment our HVAC installation. We can provide electrical service for our HVAC systems as complete turnkey package system. we also repair/service HVAC electrical issues including VFDs.